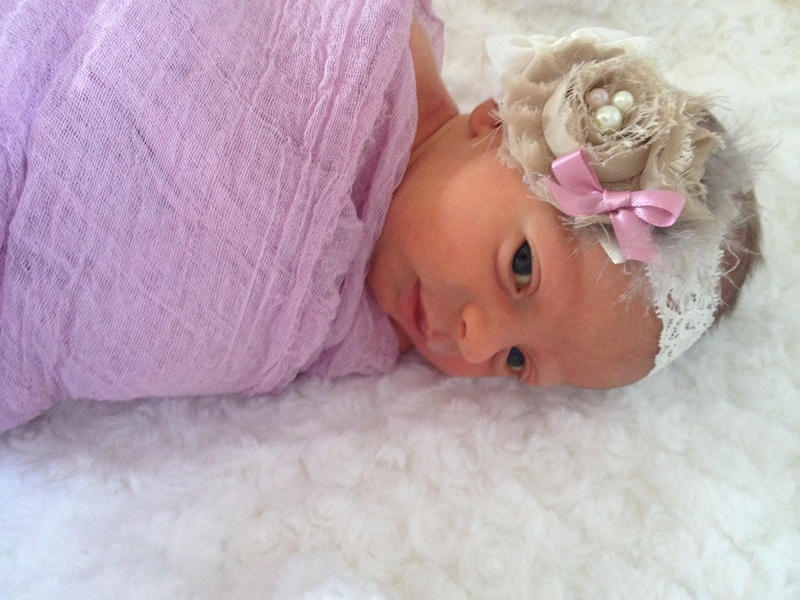 Today has been the first I have been able to blog since the arrival of Stella Grace. 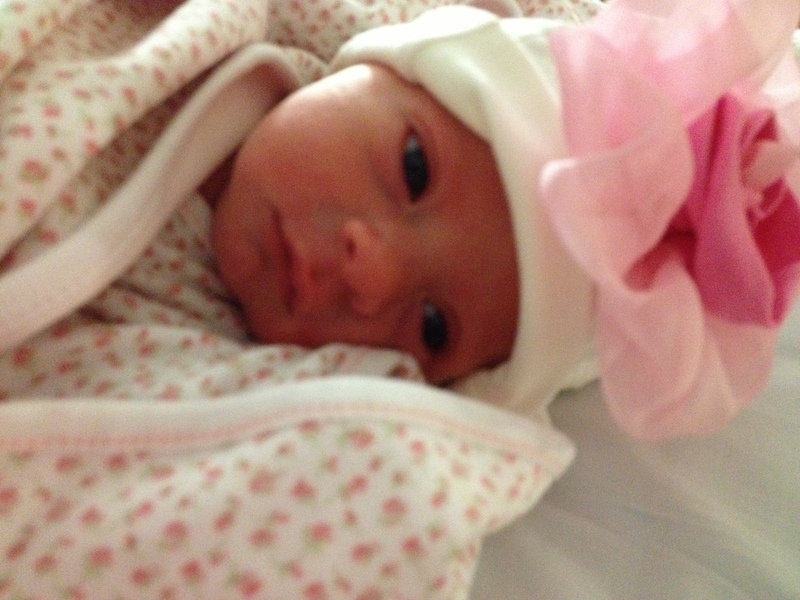 Stella official joined our family on April 17th at 11:08am, weighing in at 5lbs 15oz. She has a full head of hair but hers is brown or maybe even Auburn. She is stunning and no one can agree who Stella looks like, I think she is the perfect combination of both Ron and I. The moment Stella was born she was quite entering the world in peace and just taking it all in, as i quietly weep into Ron’s shoulder with so many emotions. Relief she is here and healthy, and at the same time sad that she will never know her brother. She has proven to be the one thing I needed to help mend my broken heart. When Ron brings Stella to me in the recovery room silent tears roll down my face as he places our daughter into my arms and I place her to my breast and the instant she latches and knows I’m her mom. I forgot how magical this moment is. For the next several days you will not see Stella far from my arms, I will not take one moment of this baby for granted she is the greatest gift I have received. Not to say that my other children are not this special but I was much younger and had not been given such large doses of what life can bring. Now I can see things in a new and much more radiant light. Why do I keep referring to light? It is because one year ago today I wrote the log “The Sun” and I wrote of gods light shinning down on me and feeling it warm me and shine on everything around me. I can still remember that morning perfectly and how it felt. It felt warm and I felt gods light wrapping me with love by his light. The sun sparkled off everything it touched and it was beautiful. I haven’t blogged for reasons: the emotions that blogging brings, The tears I shed, Stella keeping me busy, or just trying to rest when I get a moment. However right now I again sit in the NICU next to a bed with my baby in it. Just writing that sentence makes me vision blur with tears. However it is for Stella and Jaundice, nothing to serious but not fun all the same. Sunday morning we brought Stella home from the hospital and this act was so special Ron and I had come home with no baby last year and this year we are finally crossing the thresh hold with our daughter in our arms. I walk her to the nursery that use to be Elijah’s and I show her around and tell her over her guardian angel Elijah that watches over her every moment. I lay down and place Stella on my chest and we sleep. 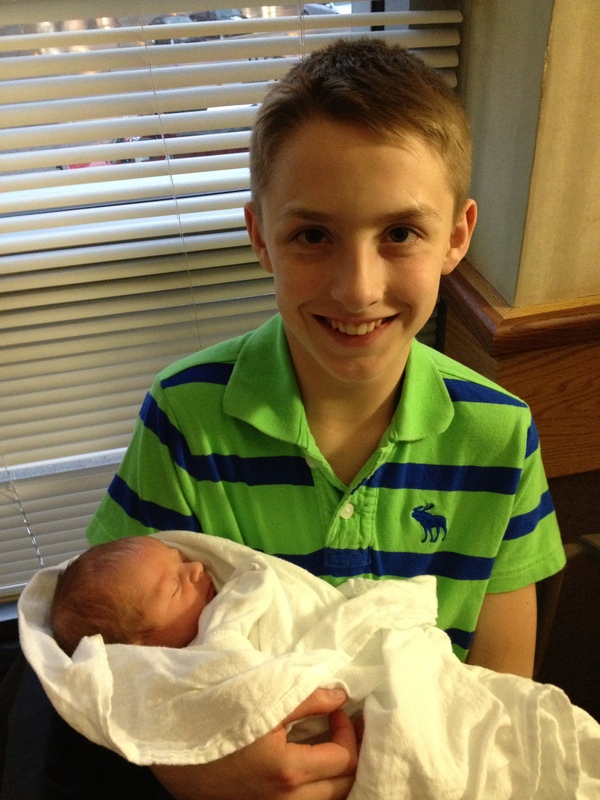 Her brother and sister hold her and love her and I am so thankful for every touch and every moment we all share. Ron rubs my back as I cry filled with so much to be thankful and the bittersweet feeling that comes as well. Ron and I take Stella on a walk yesterday and let the sun shine on her ever yellow growing face and we enjoy each step that passes. Stella rarely cries or fusses and we feel her peace in our hearts. Today Wendy comes because Ron has to go back to work and Wendy takes Stella and I to the doctors we learn Stella is again gaining her weight back and it is back up to 5lbs 8oz, the good news. 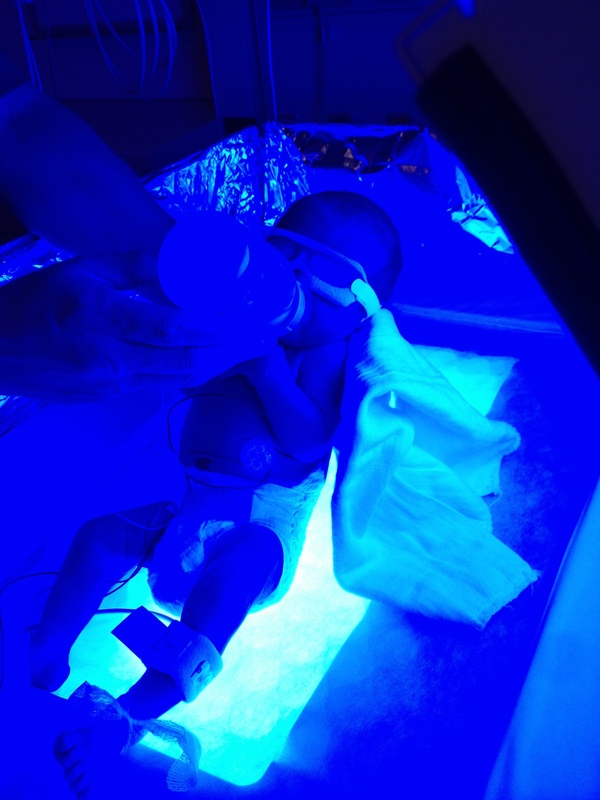 Now the bad news Stella has to be admitted for her Jaundice. This I know is small but to be told I can’t hold our baby for 24 hours does hurt my heart and soul. I will take everything that comes and I will turn it over in prayer to God and I will be walking out of Beaumont in no time holding Stella Grace in my arms and knowing Elijah is watching and shining his light on us.